BOBBY SANABRIA – drummer, percussionist, composer, arranger, recording artist, producer, filmmaker, conductor, educator, activist, multi-cultural warrior and multiple Grammy nominee – has performed with a veritable Who’s Who in the world of jazz and Latin music, as well as with his own critically acclaimed ensembles. His diverse recording and performing experience includes work with such legendary figures as Dizzy Gillespie, Tito Puente, Paquito D’Rivera, Charles McPherson, Mongo Santamaría, Ray Barretto, Marco Rizo, Arturo Sandoval, Roswell Rudd, Chico O’Farrill, Candido, Yomo Toro, Francisco Aguabella, Larry Harlow, Henry Threadgill, and the Godfather of Afro-Cuban Jazz, Mario Bauzá. Bobby, the son of Puerto Rican parents, was born and raised in the “Fort Apache” section of New York City’s South Bronx. Inspired and encouraged by maestro Tito Puente, another fellow New York-born Puerto Rican, Bobby “got serious” and attended Boston’s Berklee College of Music from 1975 to 1979, obtaining a Bachelor of Music degree and receiving their prestigious Faculty Association Award for his work as an instrumentalist. 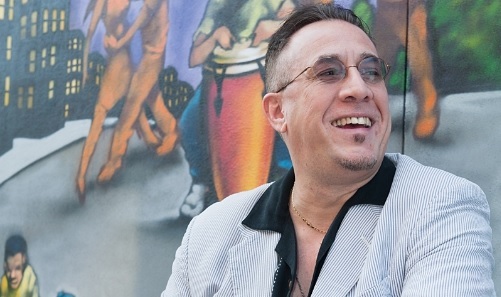 Since his graduation, Bobby has become a leader in the Afro-Cuban, Brazilian and jazz fields as both a drummer and percussionist, and is recognized as one of the most articulate musician-scholars of la tradición living today. In 1993 Bobby and his nonet Ascensión released ¡NYC Aché, on the Flying Fish label (now available on Concord Records). It received worldwide acclaim and garnered four and half stars in Down Beat magazine, as well as receiving a nomination for Best Record of the Year by the National Association of Independent Record Distributors (NAIRD). In June 2000 Bobby released Afro-Cuban Dream… Live & In Clave!!! on the Arabesque label. Recorded live at Birdland in New York City, it features Bobby powering a big band of twenty all-stars. Critically acclaimed worldwide, it has been hailed by both the jazz and Latin music cognoscenti as a masterpiece, and was nominated for a mainstream Grammy as the Best Latin Jazz Album of 2001. Afro-Cuban Dream…Live & In Clave!!! was also nominated for the Jazz Journalists Association 2001 Award for the Best Afro-Cuban Jazz Album of the Year. His next recording, ¡Quarteto Aché!, released in 2002, on the ZOHO label, documented Bobby’s virtuosity in a small group setting and was hailed a “classic” by Modern Drummer magazine and critically acclaimed by the New York Times. It was also nominated for Best Latin Jazz recording of 2003 by the Jazz Journalists Association. He also received a second Grammy nomination in 2003 for, 50 Years of Mambo – A Tribute to Damaso Perez Prado. invited by the President of Armenia and the U.S. Embassy to represent the United States in a series of concerts. Headlining in the final event, The Cascade Jazz festival in Yerevan, Armenia’s capitol, the group received a thunderous ovation from the estimated 8,000 person audience which was broadcast throughout the country. 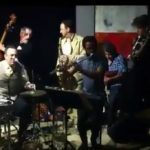 His group has the unique distinction and honor of being the first ensemble ever to perform Latino oriented jazz in this country and spread clave consciousness in a unique master class that he held at the Yerevan Conservatory. Bobby’s second big band CD, Big Band Urban Folktales, on the Jazzheads label, was nominated for a mainstream Grammy in 2008 for best Latin Jazz recording, his third nomination. It has proved to be his most lauded work and garnered critical acclaim for its futuristic approach to the Latin jazz big band canon. Big Band Urban Folktales also won the 2008 Jazz Journalists Award for Best Latin Jazz Recording of 2008. Also available is the DVD of Bobby and his nonet Ascensión’s scorching appearance at the 2006 Modern Drummer Festival currently released by Hudson Music and the CD, El Espiritú Jibaro, a collaboration between legendary trombonist Roswell Rudd, Puerto Rican cuatro virtuoso Yomo Toro and Bobby, with his nonet Ascensión, is available on the Sunnyside label. 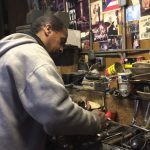 Just released is the DVD “FROM MAMBO TO HIP HOP” – A SOUTH BRONX TALE, produced by City Lore, on which Bobby was an Assistant Producer, on air personality and which was broadcast on PBS in 2006 winning the 2007 ALMA Award for Best Television Documentary. 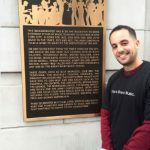 Mr. Sanabria co-produced and was in the nationally broadcast documentary, THE PALLADIUM – Where Mambo Was King,” for the BRAVO network which received the award for Best Documentary for a Cable TV in 2003. Mr. Sanabria was a consultant in the Smithsonian’s historic four year traveling exhibit, Latin Jazz: La Combinación Perfecta and also featured in two of the exhibits short films. Bobby has been the recipient of many awards, including an NEA grant as a jazz performer, various Meet the Composer awards, two INTAR Off-Broadway Composer awards, and on several occasions the Mid-Atlantic Foundation Arts Connect Grant. In 2003 he was presented with the “Outstanding Lifetime Achievement Award” by Ivan Acosta of Latin Jazz USA, in recognition of Bobby’s extraordinary creative contributions to Latin jazz. Bobby was voted “Percussionist of the Year” for 2005 by the readers of DRUM! Magazine, a worldwide publication devoted to drums and percussion. His three part video instructional series, “Getting Started on Congas,” originally released by DCI way back in 1995, now available through Alfred Music, set an industry standard by which all other instructional percussion videos must be judged by. 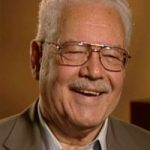 In 2006 Mr. Sanabria was inducted into the Bronx Walk of Fame having a permanent street named after him on the Bronx’s famed Grand Concourse in recognition for his contributions to music and the arts. Mr. Sanabria has been awarded the 2008 Lifetime Achievement Award by KOSA for his outstanding accomplishments in jazz and Latin music both as a performer and educator and the 2008 Martin Luther King Jr. Mentor Award presented to him by the Manhattan Country School for his work in the world of jazz. In 2011 the Jazz Journalist Association named him Percussionist of the Year. Bobby has been featured as a guest conductor/soloist with the National All Star Jazz Orchestra of Calgary, Canada, The Nova Scotia All Star Jazz Big Band, The Duke University Jazz Orchestra, The Harvard University Jazz Big Band, the World Premiere of Marco Rizo’s Suite De Las Americas at the Mann Center in Philadelphia, the Amsterdam Conservatoire Jazz Orchestra at the North Sea Jazz Festival, the Moravian College Big Band and the Dallas Latin Jazz Youth Orchestra. 2013 will mark the eight year in a row that he is the artist in residence at the Roberto Ocasio Memorial Latin Jazz Camp in Cleveland, Ohio. The camp provides musical instruction in the intricacies of Latin jazz performance for children 8 through 18 and is the only camp of its kind in the world. Mr. Sanabria has written numerous articles in nationally read publications including NY Latino, Highlights In Percussion, Modern Drummer, the Descarga Newsletter, Allegro, TRAPS and Downbeat and has written liner notes for over 30 CD’s. He has been featured as a subject in DRUM!, The Beat, RHYTHM – World Music & Culture, Drums On the Web, Modern Drummer, Descarga, The NY Post, The NY Daily News, The NY Times, Jazz Times, Jazziz, Jazz Improv, All About Jazz.com, and a major six page feature piece on him in the July, 2007 issue of Downbeat magazine. Bobby was the chair of the International Association of Jazz Education’s (IAJE) Afro-Cuban Jazz Resource Team, a position he held for six years. He is as an Associate Professor at the New School University’s Jazz & Contemporary Music Program and a Professor at Manhattan School of Music since 1999 where he conducts Afro-Cuban Jazz Orchestras at both schools preserving and passing on the tradition as well as premiering new works moving it forward. He is a member of NARAS, LARAS, AF of M, BMI, SAG and the Universal Jazz Coalition and is on the board of The Duke Ellington Foundation and the advisory board of WHEDCO (Women’s Health and Economic Development Corporation), a leading builder in the revitalization of the South Bronx. He proudly endorses TAMA drums, Sabian cymbals, Latin Percussion Inc., Remo drum heads, Vic Firth sticks and mallets and Factory Metal percussion. Bobby’s commentary on classic Latin and jazz albums can be occasionally heard on NPR’s Weekend Edition with Scott Simon. He appears in the groundbreaking 4 hour documentary on Latin music aired nationally on PBS in the U.S.A. entitled, LATIN MUSIC U.S.A. in October, 2009 which is available on DVD and is featured in the interactive website. Mr. Sanabria was a presenter at the prestigious 2009 Aspen Ideas Festival speaking about this ground breaking series. His recording, KENYA REVISITED LIVE!! !, a masterful tribute and re-working of the Machito Afro-Cubans legendary KENYA album features him conducting the Manhattan School of Music Afro-Cuban Jazz Orchestra. Nominated for a Latin Grammy for Best Latin Jazz recording of 2009, it gave him his fourth nomination. Mr. Sanabria’s big band has performed at numerous festivals including the Chicago Jazz Festival, The Verona Jazz Festival in Italy, the Charlie Parker Jazz Festival in NYC, to name just a few. In August of 2010 they played for over 17,000 people for Lincoln Center’s Out of Doors Festival shattering the attendance record for any concert ever performed there. Not only was their own forward thinking repertoire featured, but with the addition of a string section, extra percussion, and six background vocalists, they performed the NYC premiere of Larry Harlow’s monumental SALSA SUITE which featured vocalists Ruben Blades and Adonis Puente. Not to be outdone, Mr. Sanabria and his Quarteto Aché recently accompanied World renowned poets Martin Espada (N.Y.C./P.R.) and Cuba’s legendary Nancy Morejón at the Geraldine H. Dodge Poetry Festival. Filmed at the New Jersey Performing Arts Center, excerpts of the performance have appeared on PBS. In 2011 his big band headlined at Harlem’s legendary Apollo Theater in a concert produced by Bobby celebrating the 100th birthday of his mentor Mario Bauzá, the founding Father of the Afro-Cuban Jazz tradition. His 2011 CD, TITO PUENTE: MASTERWORKS LIVE!!! Bobby Sanabria conducting the Manhattan School of Music Afro-Cuban Jazz Orchestra, was nominated for Latin Grammy establishing this student ensemble as a shining example of the heights that can be achieved through jazz education giving him his fifth nomination. As with KENYA REVISITED LIVE!! !, partial proceeds of the sale of each CD go to the scholarship fund of the Manhattan School of Music. As an activist he has long been a champion for the recognition of Latin jazz as a legitimate art form and its proper place of recognition in the history of the jazz continuum. In 2006 he spearheaded the campaign to restore the Latin Jazz Cruise, a weekly 2 hour radio program on Jazz 88 WBGO FM, Newark, NJ after it was suddenly taken off the air without an explanation. Organizing politicians like New York Congressman José Serrano and Congresswoman Nydia Velazquez as well as fellow musicians and fans of the music, the show was successfully brought back on the air. 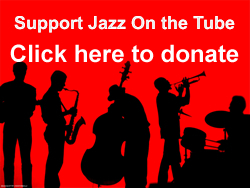 The result has been that the station has also made Latin jazz an integral part of all of its regular day to day programming, thus expanding the audience for the genre as well as jazz in general. In April, 2011 when NARAS, the governing body of the Grammys summarily cut 31 categories, including Latin jazz, from the awards process with no rhyme of reason or any input from the 21,000 membership, Mr. Sanabria spearheaded a campaign uniting well known musicians from both the west and east coasts. It also included the general public and internationally known personalities like Paul Simon, Bonnie Raitte, Herbie Hancock, Carlos Santana, Jessie Jackson, Dr. Cornell West as well as national Latino organizations like Presente, National Institute of Latino Policy, National Hispanic Media Coalition, National Hispanic Foundation for the Arts, several unions and others against this injustice. A subsequent law suit filed by Mr. Sanabria and fellow plaintiffs Eugene Marlow, Ben Lapidus and Mark Levine in New York State Supreme Court finally pressured NARAS into reinstating the category this year. For his role as an activist and his efforts in restoring the category to the Grammys Bobby has received the BORIMIX Award from the Society of the Educational Arts and the prestigious Puerto Rican Heritage Award from Comite Noviembre, the leading Puerto Rican organization in the country. On April 30, 2012, Bobby appeared with his Quarteto Ache’ with special guests Candido and Sheila E. as part of the first Annual UNESCO International Day of Jazz. The inaugural event – organized by the U.N. Educational, Scientific and Cultural Organization in partnership with the Thelonious Monk Institute of Jazz, which Herbie Hancock chairs – included star-studded concerts in Paris, New Orleans and New York as well as jazz-related events in several dozen countries from Algeria to Uruguay. The New York City concert, for which Bobby was selected to represent the Latin branch of jazz, was broadcast worldwide from the U.N. and featured such luminaries as Tony Bennett, George Duke, Jimmy Heath, Dee Dee Bridgwater, Esperanza Spaulding, Christian Mcbride and many more as well as being hosted by Quincy Jones, Robert Deniro and Morgan Freeman. Bobby’s dynamic appearance received the only standing ovation of the evening. His current new big band CD released in August of 2012 on the Jazzheads label is entitled MULTIVERSE. Inspired by the writings of Mexican author Octavio Paz and the current scientific theories of multiple universes, it blurs the boundaries between jazz, Latin, funk, rock, r & b, gospel, the avant garde and even rap. Featured are spoken word artist La Bruja in an amazing first ever fusion of spoken word/rap big band Latin jazz tribute to the Father of Afro-Cuban jazz Mario Bauzá and award winning vocalist Chareneè Wade in an incredible new treatment of Over The Rainbow. MULTIVERSE has been praised by critics for its incredible multi-dimensional vision bringing the big band into and beyond the 21st century. It has been recently nominated in two categories for the Grammys: Best Latin Jazz Recording and Best Instrumental Arrangement – Afro-Cuban Jazz Suite for Ellington, giving Bobby a total of seven nominations for the coveted award.